Interview: Ray Fisman, Tim Sullivan, Authors Of 'The Org' | The Necessary Chaos Of The Office Those of us who work in an office know that there is at least some part of the organization that is utterly frustrating. In The Org, authors Tim Sullivan and Ray Fisman argue that the back-to-back meetings and unending bureaucracy serve an important purpose. Those of us who work in an office know that there is at least some part of the organization that is utterly frustrating. 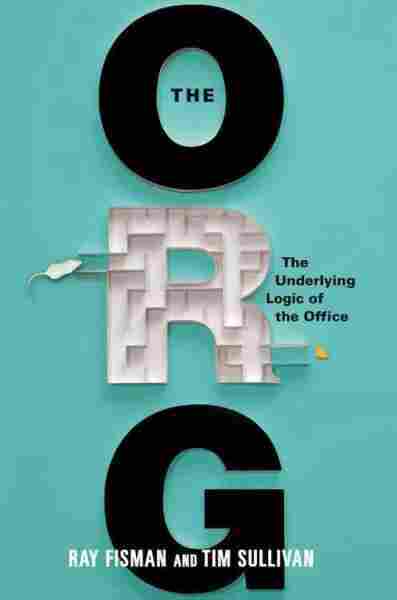 In The Org: The Underlying Logic of the Office, authors Tim Sullivan and Ray Fisman argue that the back-to-back meetings and unending bureaucracy serve an important purpose. "The fact is," Sullivan says, "no matter how much we love our jobs, there will be aspects of it that we're not so crazy about. No matter how much we love our jobs, there will be times when — to the detriment of the company — we'd rather just put our heads on our desks and take a nap. "And that's where the cameras and the oversight, and the checks and balances come in, to make sure — even when we may not want to — we're still getting the job done for the organization." "Of course there are office dysfunctions that have no underlying logic to them, and you can see a better way," says Fisman. 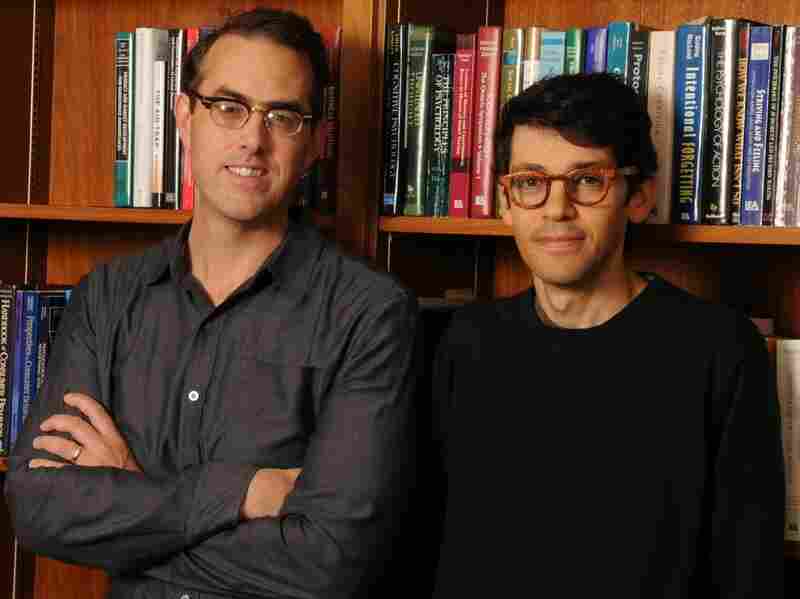 They talk to NPR's Neal Conan about the necessary chaos of the workplace. Fisman: "The much maligned meeting, which many people see as a source of pointless inefficiency — there's a lot that just can't be conveyed by a spreadsheet and written report. "At some point you have to look people in the eye and say, 'Really? Can you explain to me how that's going to work?' "
Sullivan: "Al-Qaida, especially in the late '90s and also leading up to 2001, to 9/11 and afterward, al-Qaida was often cited as kind of the optimal organization. It was networked, had cells. It had these fiercely devoted employees, if you will, who were willing to kill themselves for the cause. And people pointed out that al-Qaida would be something that could never be taken down by a big centralized organization like the U.S. military. Tim Sullivan (left) is the editorial director of the Harvard Business Review Press. Ray Fisman co-directs the social enterprise program at Columbia University's business school. I hope this note finds you well. You may remember that we sent you some money to buy an air conditioner for the office, for the brothers' comfort, some time ago. It has come to our attention that, in fact, you may not have used that money to buy the air conditioner. You may have used it to take your family on vacation. We, of course, don't believe this to be true, but we really need to see that receipt for the air conditioner. You can imagine what the consequences are. "So, the point being that even if you have this nimble cellular organization, the weight of organizing is such that it's going to cause certain things to happen to it." Fisman: "You can imagine how expensive it would be, for example, if as an individual enterprise, I decided I would build my very own toaster. So, it's the nature of production. There are some things that are just done a lot more efficiently in groups. And the moment we come together in groups, we get the bureaucracy that comes to characterize every organization. So it's a tradeoff between doing stuff as a team, with a manager bossing people around, versus taking care of ... everything through a set of market transactions — where effectively prices decide what gets done. "So you can think about it from an economist perspective as thinking about what form of organizing is going to do things more efficiently and cheaply, with a boss telling people what to do or a market and prices essentially directing traffic in our economy." In the introduction to the audio version of this story, the authors' credentials are reversed. Tim Sullivan is editorial director at the Harvard Business Review Press, and Ray Fisman is co-director of the social enterprise program at the Columbia Business School.